Even grown ups love Kidorable umbrellas! I love watching Criminal Minds and have been following Kirsten Vangsness who plays Penelope Garcia, the wise cracking tech genius who just so happens to be a girl, on Twitter. 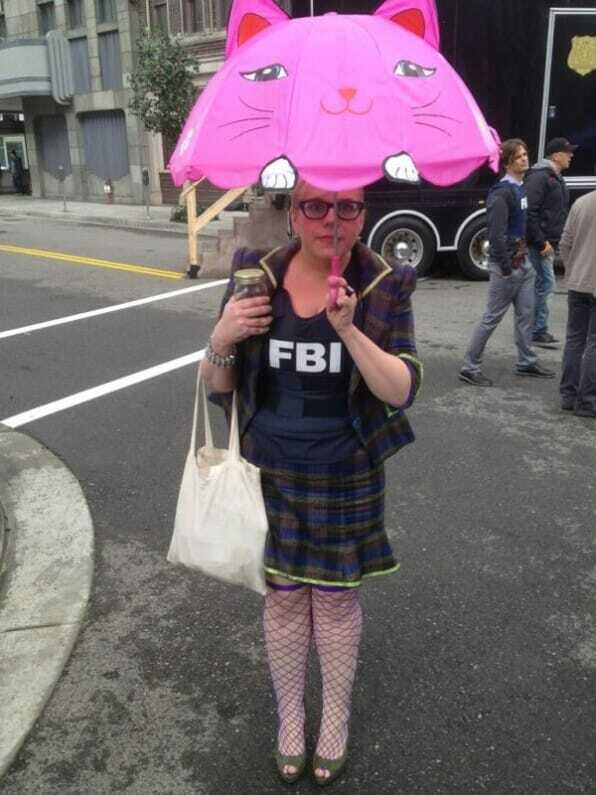 Imagine my surprise when she retweeted a photo of herself with the most adorable umbrella AND I recognized it as a lucky cat Kidorable umbrella.